The Power Plant Emerging Artist Award goes to Francesca Chan! In the past two years, our partners at The Power Plant Contemporary Art Gallery have brought their thoughtful Power Kids workshops to the Fair and have enabled us to offer meaningful art experiences for the young art lovers of TOAF. They are as committed as we are to nurturing and empowering emerging artists. The exciting roster of fresh voices at TOAF, inspired them to establish a new opportunity to advance their careers. RBC Curatorial Fellow Justine Kohleal and Curator of Education & Public Programs Josh Heuman dedicated time to judging the “Best of Student Award,” as well as the inaugural “The Power Plant Emerging Artist Award.” This new award is intended to support an emerging artist with continuing education in a unique three-part opportunity: a year-long membership to The Power Plant, a sizeable stack of publications and an exciting opportunity to propose three designs, one of which will become an official commission for a limited edition. "Working in illustration, Chan's work embraces the serene, the humourous and the melancholic. This is real life filtered through the artist's subjectivities." Francesca Chan is a visual designer from Vancouver and is currently residing in Toronto, Canada. She specializes in illustration, graphic design, and animation, and works with both traditional and digital media. Francesca picked up a love of printmaking from children’s books. Her colourful 2D images, which use flattened perspective and shapes with tonal texturing, tell stories about our interaction with nature in the past, present or future. Artists from the Bauhaus like László Moholy-Nagy, inspired her to combine graphic design with lithography and to adapt lithographic effects for the computer. Very soon after the Toronto Outdoor Art Fair, Chan met with staff at The Power Plant to receive her membership and publications, as well as to discuss the parameters of the limited edition. By mid-November, the three proposed designs will be reviewed, one selected, and the final format of the limited edition will be determined and produced as soon as possible. Mark your calendars so you can be one of the 100 to get Chan’s limited edition! What is Francesca up to now? "Currently, I am working with a company on illustration and packaging design. Within my role, I get to work with different mediums which I find very fun, and refreshing every day. Besides working as an illustrator during the weekday, I am also creating more artwork and products for my own online shop. I'm hoping to launch my shop in January, so stay tuned! I’m also very excited and honoured to be able to work with The Power Plant Contemporary Art Gallery. I have lots of creative and innovative ideas to come!" To see more of Francesca's work check out her website and Instagram. Read more about The Power Plant Emerging Artist Award goes to Francesca Chan! OCAD University students and alumni participated as exhibiting artists in the 2017 Toronto Outdoor Art Exhibition (TOAE). Among them, eleven graduates were featured as part of the first annual TOAE Career Launcher initiative. 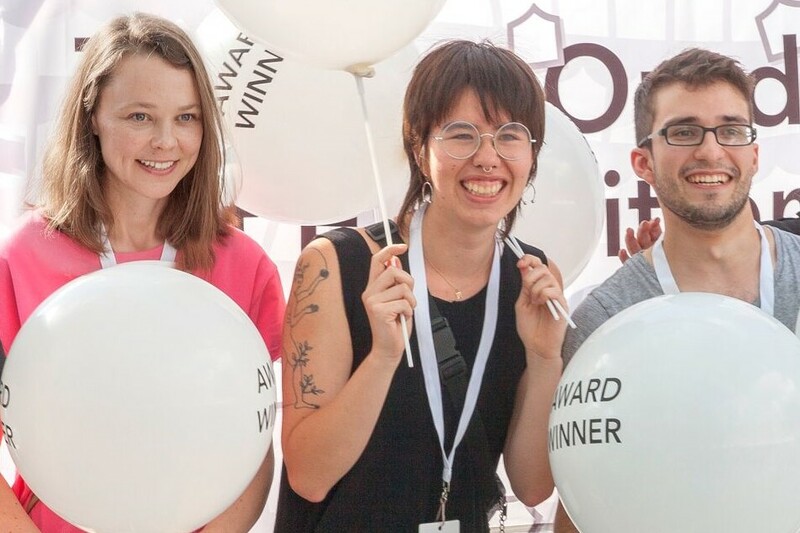 Through the Centre For Emerging Artists & Designers’ Career Launchers program, recent graduates from OCAD U’s Illustration and Material Art & Design programs received complimentary booths and the opportunity to exhibit in the 56th year of this annual event. The exhibition is Canada's largest and longest running juried contemporary outdoor art fair. 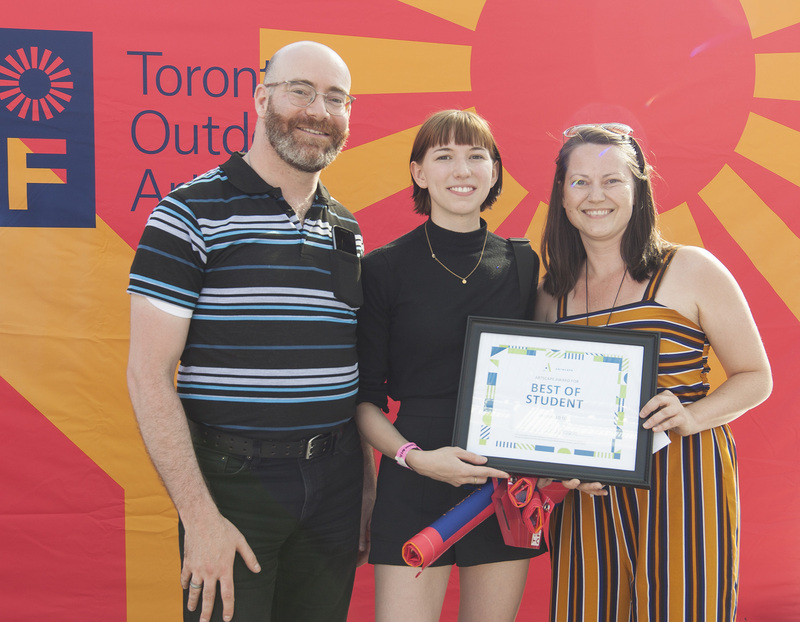 OCAD University students and recipients of the Career Launcher initiative were also acknowledged for demonstrating excellence, originality, workmanship and innovation in their practice through the Toronto Outdoor Art Exhibition’s Awards program. A complete list of winners is available on the TOAE website.